I have long wanted to try Sonny’s. It’s one of those restaurants in South West London (Barnes) that is well liked by the locals and holds a steady reputation as a pretty decent venue. Ed Wilson of Terroirs use to cook there, so it’s churned out some notable chefs. I’ve booked to go there before, but for one reason or another have never quite made it. So it was not without irony that we ended up at Sonny’s on this occasion purely by chance – when the first restaurant we went to around Richmond way was booked out, and the second one we tried to find a table at stopped serving Sunday lunch at 2pm. The decor at Sonny’s is very appealing. As you walk through the entrance and past the bar, the room reveals itself to be long in length with creamed walls, white table clothes, walnut seats and oak wood floors. I ordered a lobster and white crab tortellini with a caramelised scallop and butternut squash (£9.50). The scallop, nicely crisped, was lovely. It was slightly undercooked which gave it a lovely opaque colour and a nice firm texture. The tortellini had been generously filled with lobster and crab. The pasta was cooked al dente although I think a drizzling of, say, a beurre noisette, would have been a nice addition. 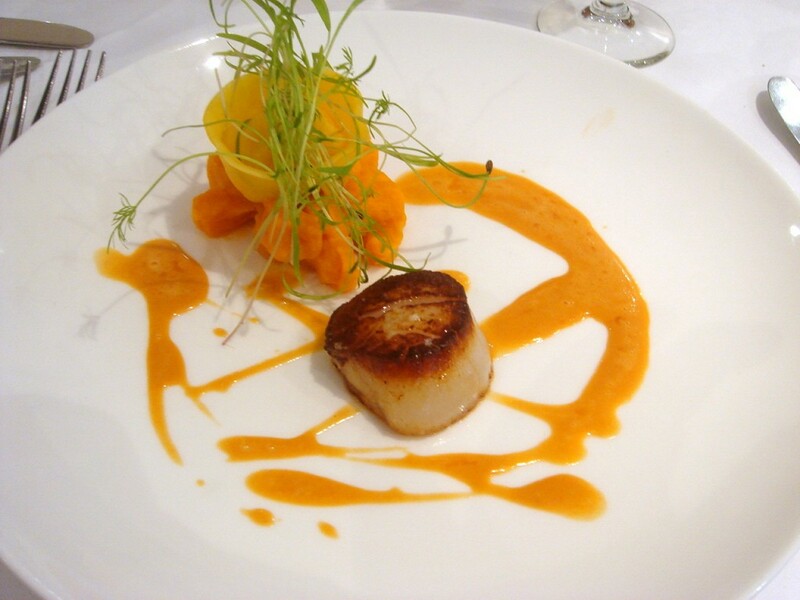 The squash was tasty and worked well with the scallop and tortellini. 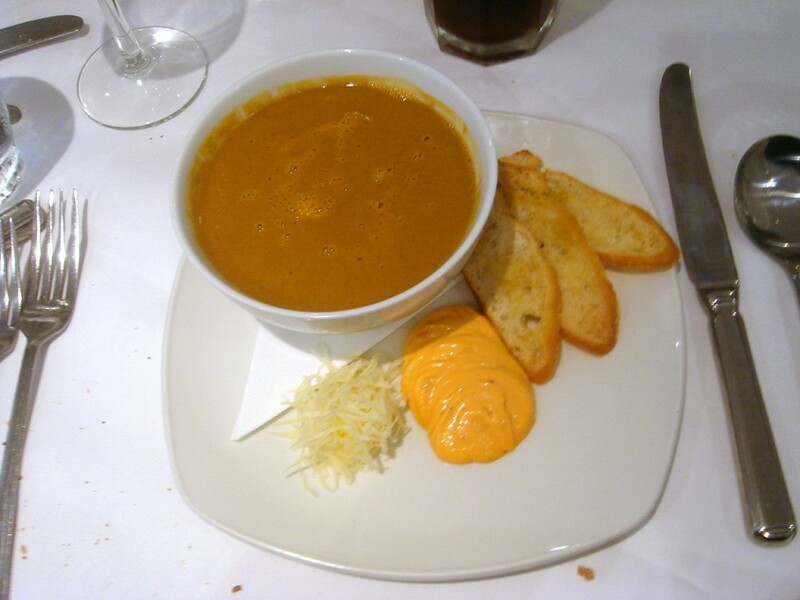 All the boys ordered fish soup with gruyere, croutes and rouille (£6.50) (must have been all that hard work moving furniture around). The consistency of the soup was too thick. It also tasted quite floury which overpowered the seafood flavour of the soup. This starter was average. 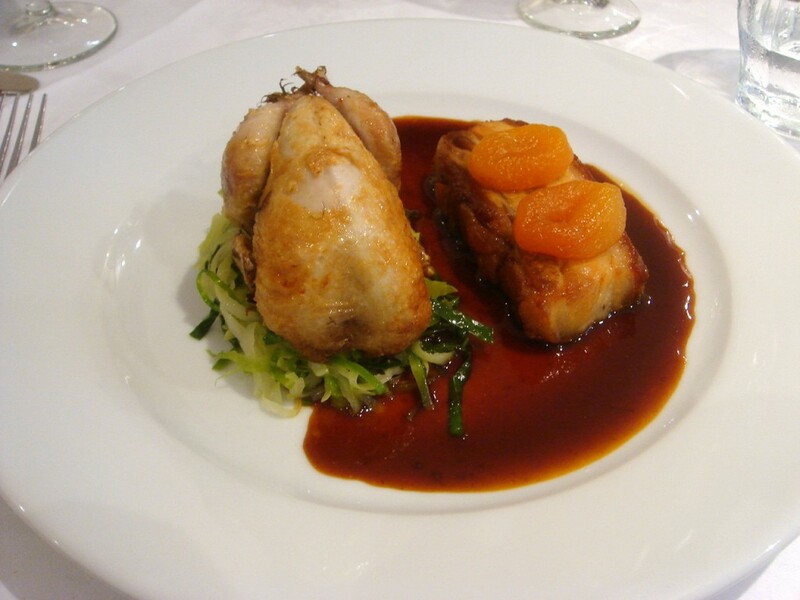 A main of honey roasted quail and confit pork belly, hispi cabbage and apricots (£16.50) was lovely. The quail was moist, delicately sweetened, and the pork was tender and succulent. The crackling was reasonably crispy, but a little extra crunchiness would have really set it alight. The apricots, being of the dried variety, didn’t really add to the dish, but the cabbage was a nice accompaniment. 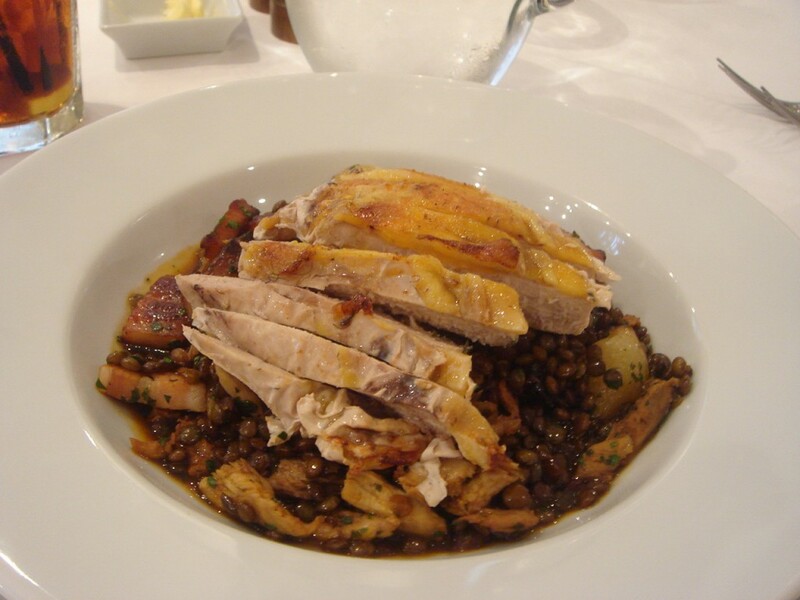 Poached and roasted pheasant, braised leg, puy lentils, pearl onions and lardons (£13.00) was classically hearty and robust in flavour. The pheasant was moist, and the onions and lardons added depth to the lentils. The dish was not dry, but just a touch more jus would have worked better as it would have provided the dish with more moisture as there was quite a lot of lentils. 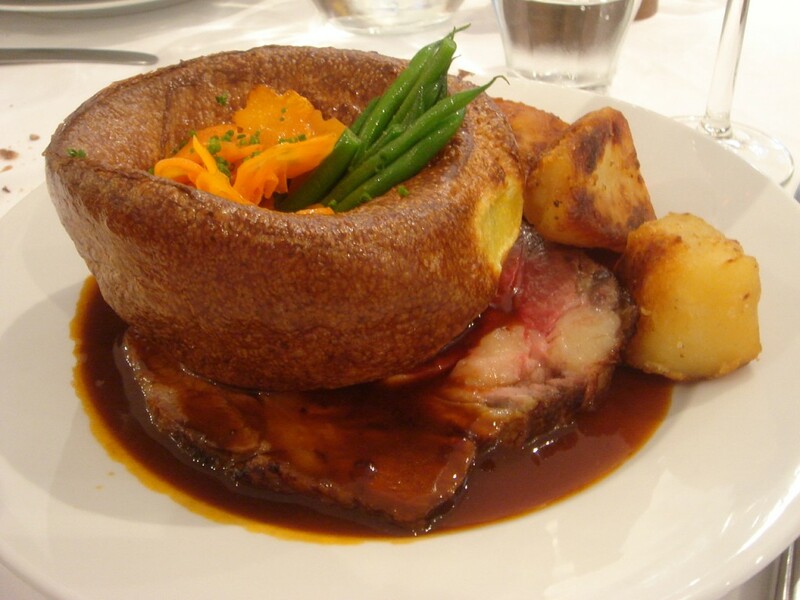 Roast rib of beef, Yorkshire pudding, roasties and vegetable was generously portioned with two very large pieces of tasty beef. The vegetables were nicely cooked with a little crunch, although the roast potatoes were slightly burnt and lukewarm rather than hot, but otherwise this was a decent Sunday roast. 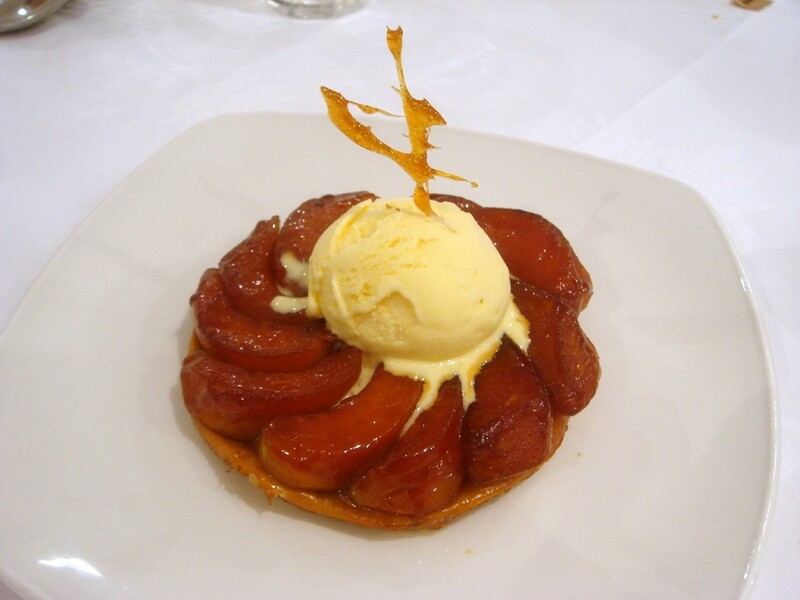 Dessert of apple tarte tatin with Calvados ice cream (£6.00) came with a wonderful buttery pastry, enriched by the ice cream which was delicious. The apples were tender, soft and not too sweet, although a touch more spice in the apple would have made it more aromatic. The food at Sonny’s was hearty and flavoursome, and although the soup could have been better, the cooking was otherwise very accomplished. It’s basically well cooked, decent, rustic, hearty kind of stuff. The menu has a decent array of dishes that would accommodate and appeal to most palates. The service was very professional, and overall it’s a decent place to visit if you happen to be in the neighbourhood. £22 to £38 for three courses from the a la carte menu. Excludes drinks and service. I have never heard of this restaurant before I must admit but the food looks pretty good and the prices seem reasonable. Sounds pretty good although a bit far out of town. Where is the tortellini though, is it hiding under the greens? Yep, the the tortellini is the thing above the squash and below the greens. You have to look hard! Me bad with the photo taking!